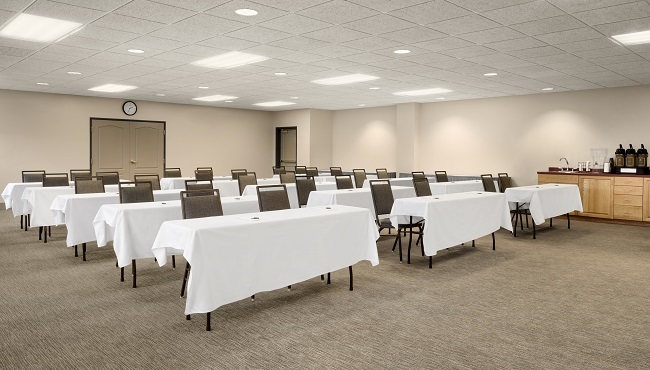 Located about a mile from Duluth International Airport (DLH), the Country Inn & Suites in north Duluth, MN is ideal for hosting family reunions, sports team gatherings and corporate events. Our 900-square-foot meeting space can accommodate a variety of setups depending on your needs, with room for up to 100 guests. Our dedicated events team is happy to help with catering recommendations and complimentary coffee and water service. Meeting amenities include free high-speed Internet and audiovisual equipment.